Does the frame of solar panels really matter? As solar panels manufacturers always seek ways to reduce costs, product design is of course influenced by this objective. In this article, we would like to focus on one component, the frame, and share with you a test we performed, that illustrates how the behavior of modules under mechanical stress can differ. As always, it is not a one size fits all problem. Two modules with the same frame thickness may not behave the same, depending on the choices made during design. 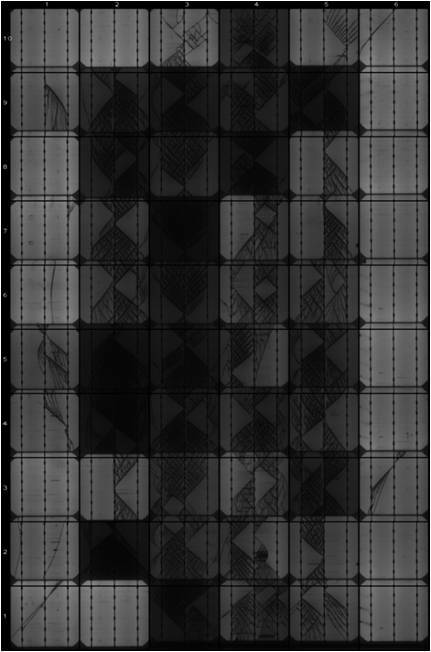 The majority of the cost of a photovoltaic module lies in the cell, thus is silicon related. 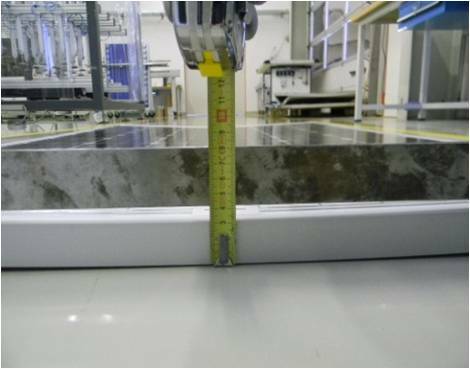 Within non silicon costs, that include all the rest of the components (frame, glass, junction box, backsheet…), the frame represents a significant part. Then it is no surprise that is seen for years a tendency towards thinner frames. As they are made of aluminum, their price is directly related to the weight of metal. Reducing the thickness of the frame directly impacts the cost as less material is needed. One of the side benefit is also for the installer, a module slightly lighter to handle. That being said, over the years, we have not seen a breakthrough in framing approach, the evolution being slow and tending to reach a plateau. Indeed, cutting costs is about finding the right compromise between the design and the weight of aluminum to ensure reliable mechanical properties. We would like to share with you a test we performed. 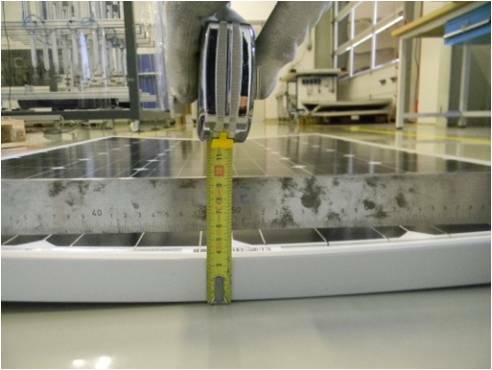 We have selected different brands of solar panels with different frame thickness, from 31 mm to 50 mm to submit them to a mechanical resistance test. Of course, we won’t display the respective suppliers. The table hereunder sums up the different steps of the test and the delta, after each step, of the rated power vs the nominal power. A load of 2400 Pa is equal to 400 kg per panel (1,6 sqm) or 220 Km/h wind speed or a layer of ~1.5m of snow freshly fallen on the module. We can see that what is at stake are actually the electrical performances. When modules have to withstand mechanical load, the properties of the frame influence the ability of the module to work properly. In particular, in face of an exceptional event involving high mechanical load, what may become more and more the case with climate change, the electrical properties of the module can be seriously damaged. If it should happen when the installation has just been done, then the yields would be impacted for decades.